“The tourists, they never really left. Greece has always been popular. True, there was a decline in the past few years following the economic recession, but they’re slowly coming back. Hotels are filling up again and there’s a new lease of life for the country as a luxury destination. Plus, it’s relatively cheaper than Western Europe, so it is fast reemerging,” Daphne Kefal, an Athens-based luxury consultant and travel guide tells me, as we explore Vouliagmeni, an upscale residential neighbourhood just outside Athens, on the day following my arrival. The tourists are coming back to Athens, no doubt, to check out its age-old monuments and unique brand of Aegean culture, and there is no dearth of visitors to the hugely commercialised islands like Mykonos and Santorini. My first evening on the Athens Riviera starts with a sundowner on the beach-facing terrace of the Divani Apollon Palace & Thalasso. My glass of ouzo — a heady aniseed-flavoured aperitif and my favourite Greek tipple — sufficiently filled, I begin to soak up what I see. 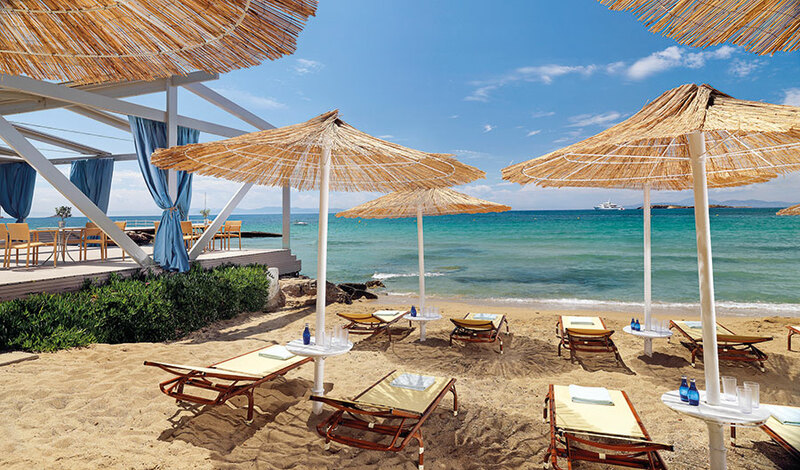 My hotel enjoys pride of place at the heart of the tony neighbourhood of Vouliagmeni, with a quiet, almost deserted beach right outside the hotel. Considered the ‘Beverly Hills of Athens’, Vouliagmeni is where the rich and famous go under the radar to hang out. Later that evening, following a copious meal of freshly tossed Greek salad and grilled fish, I take a walk in the neighbourhood to sample a slice of life in the region. I see locals going about their daily tasks — almost no tourists around — sitting at bars, dining at restaurants, walking dogs or taking an evening jog. Here, I see Greece with a fresh ‘insider’ perspective. The next morning, I wake up to sweeping 180-degree views of the Athens coastline from my room. I spend the morning at the Divani Apollon Palace & Thalasso pool, the largest in Greece, and the spa. My discovery of the neighbourhood continues to the nearby Glyfada precinct, brimming with trendy cafes, taverns and restaurants. Don’t forget to factor in a leisurely walk by the marina to admire the anchored yachts. While I did enjoy my day shopping and eating in Glyfada, it was highly recommended that I return at night, when the district livens up as one of the party spots along the coastline, with some of the best pubs and clubs in the area. And that’s exactly what I do after sunset. The next morning, I drive between Vouliagmeni and Lagonissi. The 40-minute drive along the Athens Riviera coastal road is one of the most breathtaking in the world, with landscapes ranging from lush green to stark arid and rocky, framed entirely by the azure waters of the Aegean Sea. At Lagonissi, I check into what is possibly one of Greece’s best kept secrets, and most exclusive addresses. 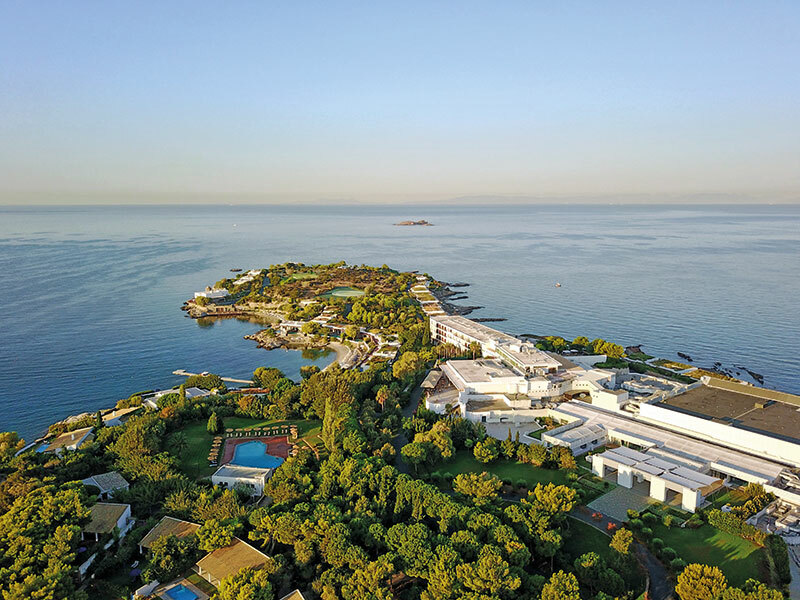 The Grand Resort Lagonissi Athens, discreetly tucked away on a rocky peninsula that juts into the sea, regularly welcomes Hollywood celebrities, but prefers to keep its guest list under wraps. No wonder, then, that this vast resort, with its private beaches and very own white Greek chapel, has been flagged by the prestigious Leading Hotels of the World label. “People come here to get the Greek island experience, without actually having to travel to the islands. So they get off a plane, and a short drive away from Athens airport, they reach these idyllic spots which offer more or less the same natural landscape as the far-flung islands. 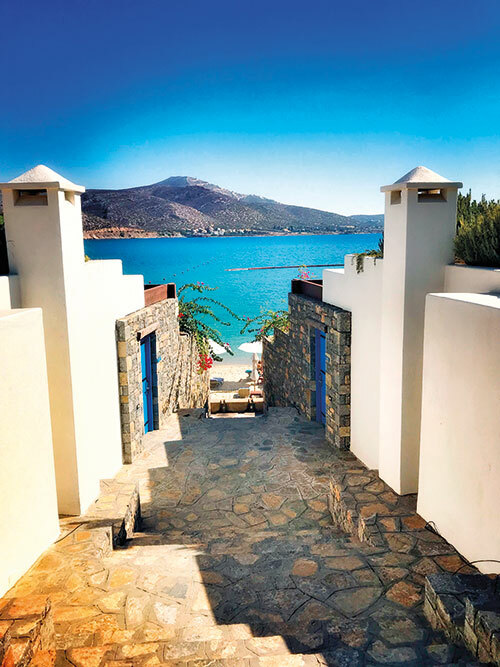 Lagonissi is ideal for the high-end traveller looking for an easy itinerary without too much of a commute,” says Natalia Giakimenko, a luxury hospitality professional who works in the region. The aptly used term ‘island life’ comes to me as I settle into my deluxe bungalow with an attached pool. The edge of my pool overlooks the rocky outcrop and a tiny beach. The resort is spread across 72 acres, and as I walk around, I discover private mini-beaches, little alcoves and private terraces with beach beds. Some of the villas open straight out onto the beach and have massive gardens and attached swimming pools. Dining in the area is top-notch too, with one of the region’s finest sushi restaurants, Kohylia Polynesian Restaurant & Sushi Bar, close to the Lagonissi marina. Dinner at the nearby Captain’s House Restaurant is a must-do, as it overlooks the fisherman’s wharf, so you can actually see the local fishermen at work, while you enjoy your meal. No trip to Greece is complete without a breathtaking view of the sunset. While Santorini’s sunsets are world-famous, I made a trip to Cape Sounion, about 70 kilometres south of Athens, along the Riviera. Said to be one of the most picturesque and historically significant sites in Greece, the headland is surrounded by the Aegean Sea. At the peak lie the ruins of the Temple of Poseidon. Get there well before sunset and grab a spot in the shadow of the ancient temple to catch the sunset. Countless photo ops, with the blue sea on one side and an age-old Greek temple in the background, are guaranteed. This is, indeed, the quintessential Greek experience and the perfect end to a discovery of the Athens Riviera. If you’re a first timer to Athens, the predictable tourist trail of the Greek capital is an absolute must-do. And if you’ve visited before, it still might be a good idea to revisit the spots, or just walk around the city to soak up the sights. For starters, the Acropolis Hill — the crown jewel of Athens — needs no introduction. Make sure you wear comfortable shoes as you explore the locale — it is quite a climb. Before you reach the highest point, stop off at some of the panoramic spots for some perfectly ‘Instagrammable’ photo ops. Once at the top, take the time to explore each of the sites, including the Parthenon and the Temple of Athena Nike. At the bottom of the hill, visit the splendid Acropolis Museum. The ultra-modern structure is built on an ancient archeological site, and today showcases findings from the adjoining Acropolis Hill. While the collection of artefacts is indeed breathtaking, don’t forget to visit the topmost level of the museum, where an open-air cafe gives you unobstructed views of the Hill. Make a quick dash to the Temple of Olympian Zeus, surrounded by a lush city park. After sundown, head to the buzzing Plaka district, which is brimming with open markets, local fashion boutiques, sidewalk bars and cafes. Getting around the city is easy with public transport, taxis and Uber.